Waking Up Joy: Happy 1st Birthday GIVEAWAY!!! 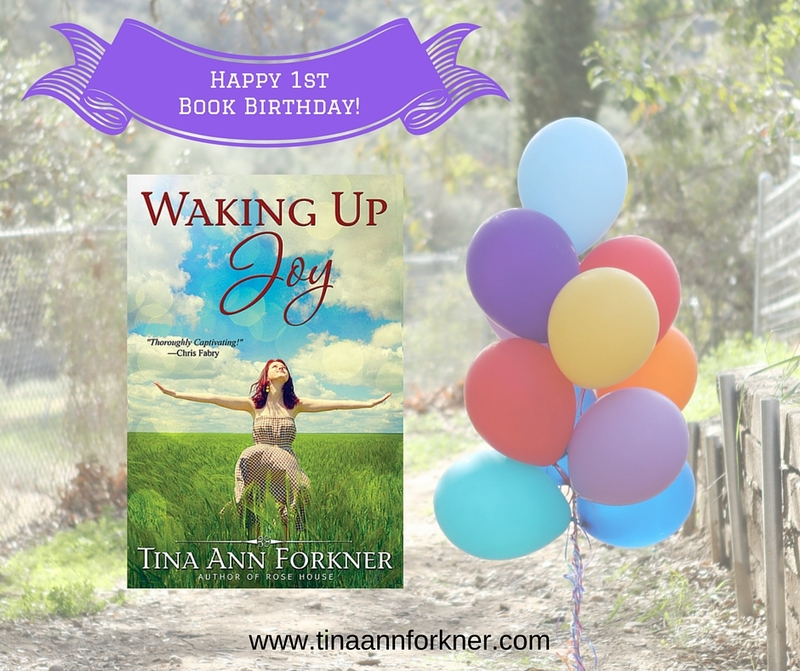 It’s hard to believe that my 3rd novel, WAKING UP JOY, has been out 1 year today. It’s been fun and to say thank you to my readers, I’m giving two recipients an autographed set of all three of my novels. Simply click the following link and follow the instructions. Nothing is required, everything is optionaL, but I would be grateful if you share this post and graphic in order to let other readers know about JOY. Congratulations Demetria Gray & Connie Saunders! The Books: WAKING UP JOY, ROSE HOUSE, and my debut novel RUBY AMONG US. Learn More. Congrats, Tina! Book anniversaries are so wonderful! Enjoy your literary accomplishments and allow them to nourish your soul. Congratulations on your 1st birthday! I haven’t read your books but would like to. Congratulations! May you continue to write and celebrate many more book birthdays AND may you enjoy many more days that commemorate your birth! Congratulations and more success to follow!! Congrats! Hope to read all! Can’t resist a book giveaway. You know I’ve read Waking Up Joy, you have heard me sing its praises, but I could gift it and read the other two, or read it again along with the other two. I just couldn’t resist! Had to enter! Congratulations on your books. I love to discover new authors. I would love to read your books. Thanks for this opportunity I have not read your books so I really would like to try them. Happy birthday! Hi Tina! I haven’t read your books yet, but am looking forward to getting my eyes on one. Looks very interesting! I just loved waking up Joy it was so moving and I felt like I was right there with her the whole time. Living in that era. Happy Book Birthday! Congratulations. I adored Waking Up Joy and I’m sure I would equally love Rose House and Ruby Among Us. Many thanks for the chance.